Information is current for 2018. Mueller College, established in 1990, is an energetic, modern co-educational Christian school catering for students from Prep to Year 12. 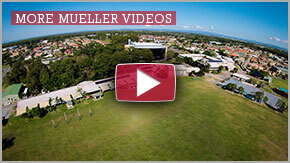 Mueller College is located on the beautiful bay side peninsula of Redcliffe, only 20 minutes drive from the Brisbane Airport and 30 minutes from Brisbane City. Mueller College, with its extensive and diverse curriculum, prepares students for life in the world through excellent education and exemplary Christian living. The committed, caring and professional staff at Mueller College provides an environment conducive to learning and excelling in the academic, cultural and sporting arenas. The dynamic vocational program, creative music program and sports facilities ensure students at Mueller receive a well rounded education. The Music Program at Mueller College involves over 500 students of the College population and is one of the largest co-curricular activities in the school. Our Mueller College Music Department staff are among some of the finest musicians recognized nationally and internationally. The philosophy of our music program is inclusive and non-competitive. We aim to encourage our students to achieve at their highest level and to worship God. We delight in giving encouragement for all their endeavours and recognize this as an integral part of their growth. At the beginning of 2009 Mueller College opened its new Auditorium which has the capacity to seat 1500 students. Mueller College welcomes the enrolment of those students from other countries. 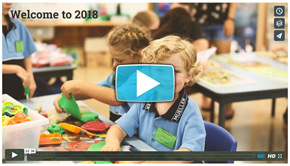 The College is accredited with CRICOS to provide education from Year 1 to 12. If you would like further information on enrolment please contact the Registrar by phoning +61 7 3897 2990 or email admin@mueller.qld.edu.au.